Australia’s Benji Batten from Melbourne Table Football Club won the FISTF Satellite of Altona (Altona Cup) on Saturday October 21. 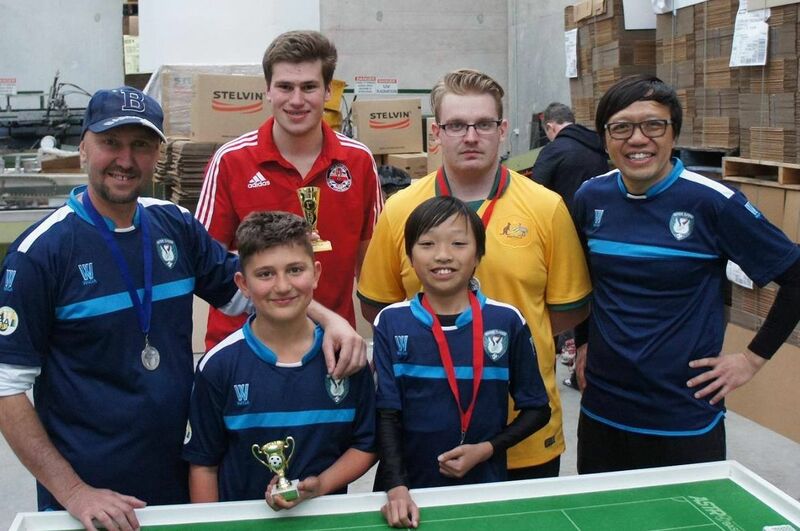 He beat Luke Radziminski (Melbourne Table Football Club) 3-0 in the Final. Paul Mercer (Northern Phoenix) and Adrian Conolly (Western Flickers) were the beaten semi-finalists. In the U19 event Alex Briffa of the Western Flickers beat Benjamin Ng (Western Flickers) 2-1 in the final to claim the title. Thanks to all who came for a fantastic tournament which was played in great spirit. Australia’s next FISTF event is the Asian Cup of Table Football (FISTF Continental Championship) to be held in Melbourne from 19-21st January 2018.